Queen's day out on London Tube Jump to media player The Queen and the Duchess of Cambridge have celebrated the Tube's 150th anniversary at Baker Street station. Duchess given baby badge on Tube visit Jump to media player The Queen and the Duchess of Cambridge have celebrated the Tube's 150th anniversary at Baker Street station. 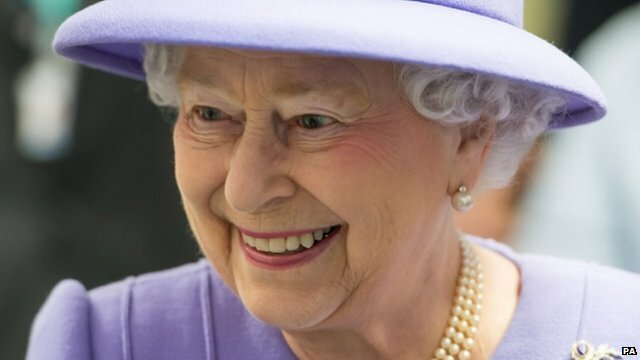 Recovering Queen signs charter Jump to media player The Queen has signed a charter setting out the Commonwealth's values and commitment to equal rights. 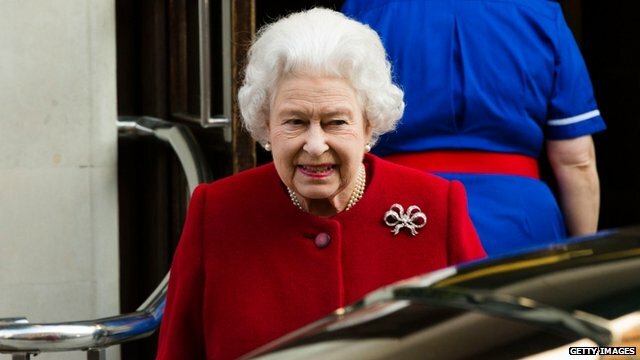 Recovering Queen pulls out of event Jump to media player The Queen has pulled out of the Commonwealth Day service at Westminster Abbey on Monday, Buckingham Palace has said. 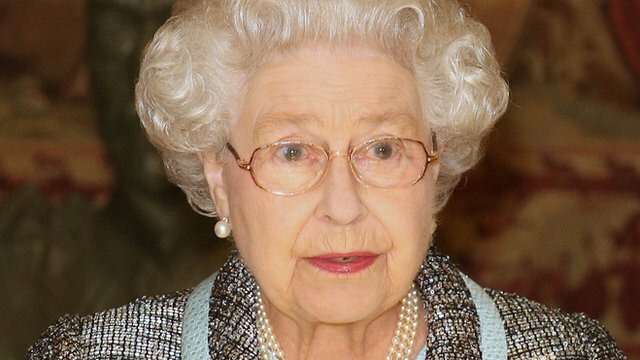 Queen in hospital with stomach bug Jump to media player The Queen is in hospital "as a precaution" where she is being assessed for symptoms of gastroenteritis, Buckingham Palace has said. MP to fight royal succession laws Jump to media player A Lincolnshire MP has said he will fight royal succession laws which he says would have put Kaiser Wilhelm II on the British throne had they been in place in Victorian times. 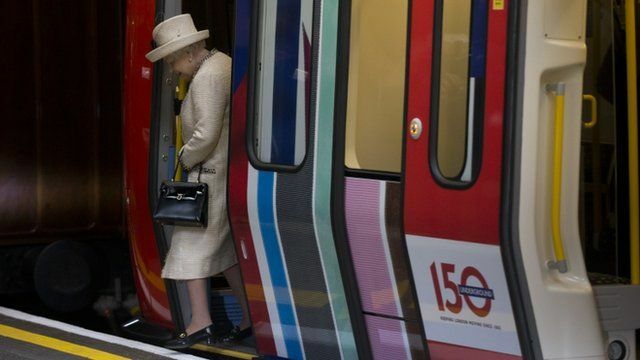 The Queen has visited Baker Street Underground station to celebrate the Tube's 150th anniversary, her first public engagement in more than a week. The Duke of Edinburgh and Catherine, the Duchess of Cambridge, joined her. 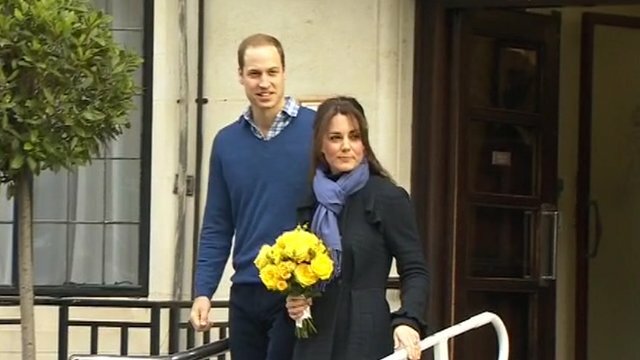 Catherine was given a badge reading 'baby on board' during her visit, which the mother-to-be placed on her jacket.